Art Prowl is a 501(c)(3) Non-Profit Organization dedicated to the Arts in our community. Our inspired beginning came from the Art Prowl Studio Tour, a tradition in the Upper Cumberland/Putnam County area of Tennessee since the year 1999. 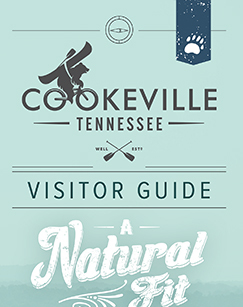 Cookeville Art Studio + Gallery boasts 11 different exhibits year-round in various media by area artists and is a major stop on the annual Art Prowl each fall. The organization also sponsors public art workshops covering watercolor, drawing, craft making and other areas. The facility is located in the downtown area on Walnut Ave, at the rear of the Cookeville Senior Citizens building. Fine art photography, jewelry & note-cards by award-winning artist Cella Neapolitan. Joan Derryberry Gallery is housed on the first floor of Tennessee Tech's Roaden University Center. The gallery features exhibits in all media throughout the year. Hours of operation are from 10 a.m. to 4:30 p.m., Monday through Friday. Marilee Hall specializes in ceramic vessels and wall constructions that convey unity and show how from disparate, contrasting elements spring life, growth and integration. She enjoys hand building, using white earthenware slabs, coils and extrusions to create forms. Contrasting textures are exceedingly important to her, as is the combining and layering of polychrome underglazes with glazes to deepen surfaces. The Gallery is one of the finest and most diverse sales galleries in the Southeast and features traditional and contemporary fine craft by faculty, resident artists, advanced students and more than 100 regional craft artists. In this 550-acre facility overlooking Center Hill Lake, visitors will find hand-blown glass, pottery, ceramic, fabrics, iron and metal pieces, hand-crafted wooden items, and many more treasures. Located inside the Art & Frame Outlet, this gallery features local watercolor artists as well as exhibits in varied media. Located on the Historic WestSide, The Art Jam CKVL the perfect venue for birthday parties, outings, and date nights. Classes are designed to walk you through a painting step-by-step until you've completed your very own piece of art. The Upper Cumberland Arts Alliance (UCAA) is a 501(c)(3) non-profit organization located in Middle Tennessee. UCAA was founded in 1989 but was last revitalized in 2005. It is an organization that will nurture, celebrate, and assist individual artists and other art organizations.The main goal of UCAA is to encourage, promote, and facilitate the arts of the Upper Cumberland area. One of our goals is to reach and enrich all the people in this Tennessee region with the beauty and diversity of ALL art forms. The Upper Cumberland consists of 14 counties: Cannon, Clay, Cumberland, Dekalb, Fentress, Jackson, Macon, Overton, Pickett, Putnam, Smith, Van Buren, Warren, and White. UCAA is sponsoring Granville's ARTS & CULTURAL CENTER located upstairs in Sutton's General Store. Sutton's General Store offers a glimpse into Granville's past with hundreds of antiques as well as new merchandise, hand dipped ice cream, and a live radio bluegrass show every Saturday night. The Bryan Symphony Orchestra at Tennessee Tech University is the only professional symphony in a rural area of Tennessee. BSO concerts are a collaborative effort of the community-based non-profit Bryan Symphony Orchestra Association and the Tennessee Tech Department of Music and Art. Performances are in the Wattenbarger Auditorium in the Bryan Fine Arts Building on the TTU campus. Cookeville’s top performance theatre offering a 456-seat downtown venue adjacent to Dogwood Park. CPAC produces the state, regional, and national award winning BACKSTAGE at CPAC series and is home of Cookeville Children’s Theatre productions. The Cumberland County Playhouse is just 30 miles east of Cookeville off I-40 at exit 317. The Playhouse was named one of the “Top Ten Theaters in Rural America.” You’ll find big city excellence with small town prices. Visit our website for showtimes. A popular entertainment venue located in Dogwood Park, adjacent to the Cookeville Performing Arts Center. Enjoy events such as Bryan Symphony Orchestra concerts, Shakespeare in the Park, Movies in the Park, Dogapalooza, WCTE's Blues & Brews Craft Beer Festival, and more.